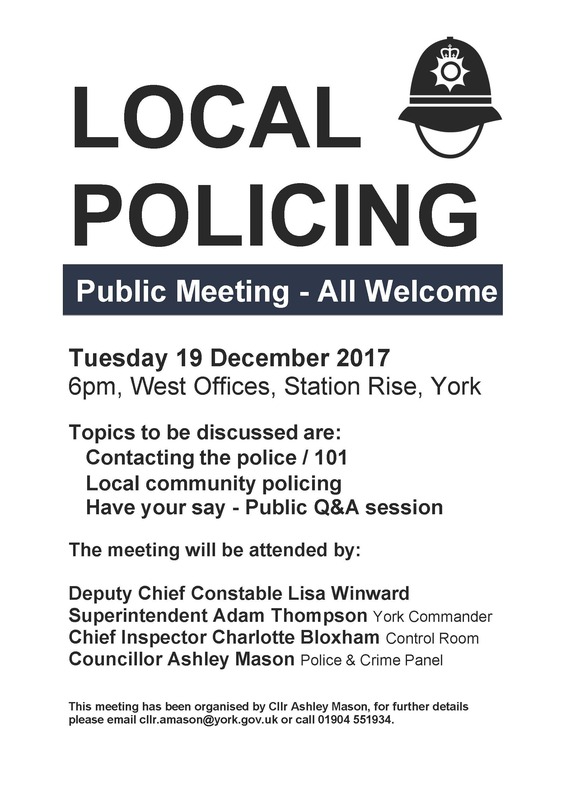 There will be a meeting at West Offices at 18.00 on Tuesday 19 December about local policing. All are welcome. I thought that this was an interesting article posted on the website of the manufacturer – Tele-Traffic introduce the Community SpeedWatch Radar Device. What plans are there to deploy a unit on Acaster Lane, Sim Balk Lane or even in the 20 mph limit of Main Street? 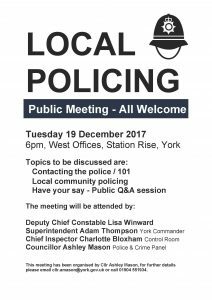 He was trying to set up a speed watch group – for more details about it, you could also attend the ward meetings – the next one is due to be in Bish, I think. It was discussed at some length at the last one. The location of the devices is rigidly fixed by NY Police; one cannot just deploy them where one wants. John knows more about this.